Zap Covert Cane With Flashlight And Stun Gun - LED Light, One Million Volts, Adjustable Height, Supports Up To 400 lbs | BUDK.com - Knives & Swords At The Lowest Prices! 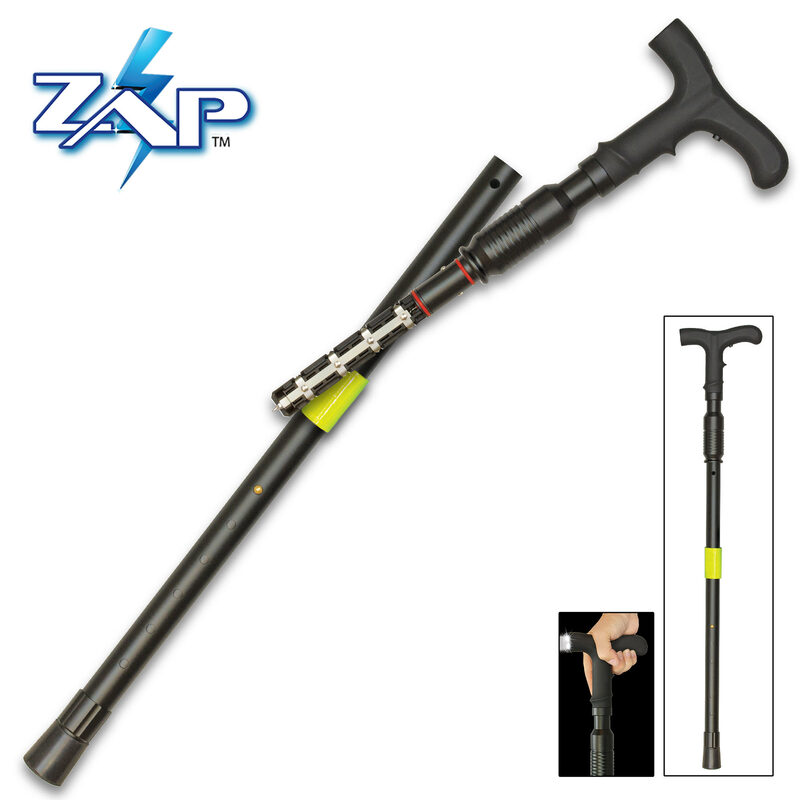 Introducing one of our most powerful products, the Zap Covert Cane! 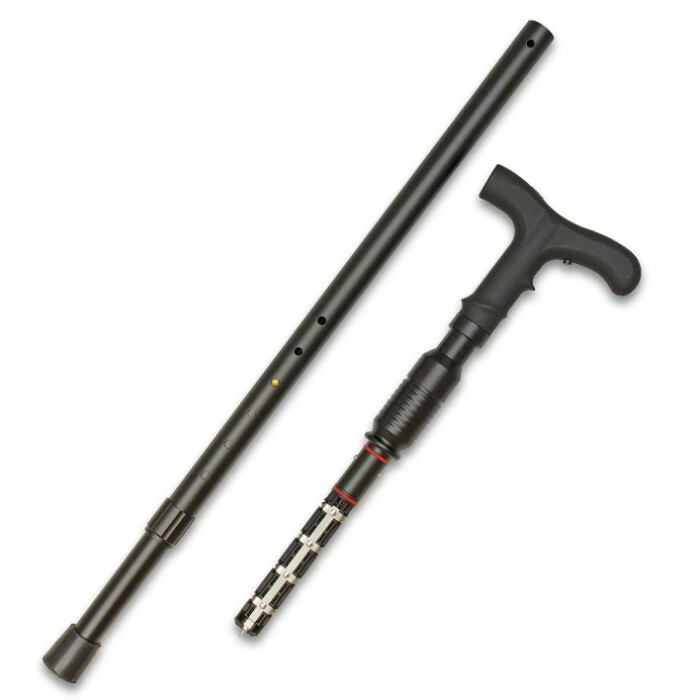 It looks like an average cane, so you can steady yourself, but it contains a flashlight and it detaches into two separate pieces, revealing a stun gun! The flashlight is an ultra-bright LED and the stun gun has an unheard of one-million-volt charge that will knock down any attacker. 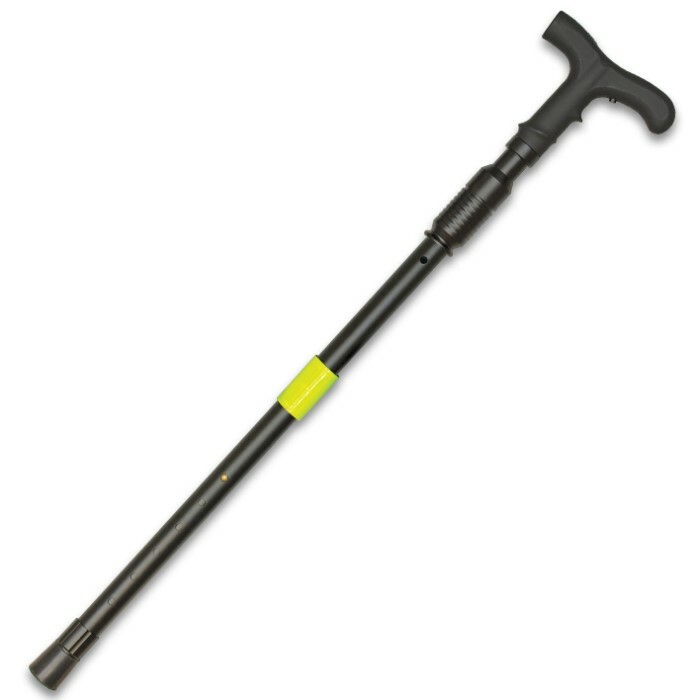 The cane has a weight capacity of 400 lbs and is adjustable from 32" to 36". 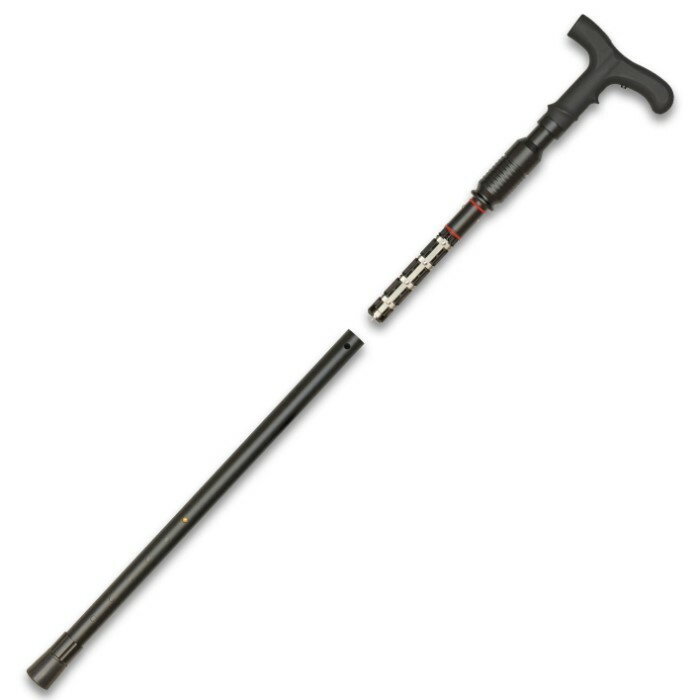 They’ll think it is just a cane until it is too late! It is even rechargeable and includes a wall charger and carrying case.